With seemingly everybody in the full-size-pickup-building fraternity currently fixated on fuel economy, you wonder if Toyota got the memo. When this tester recently did a 108-mile stint in a Tundra CrewMax crew cab with the 5.7-liter dohc V8 and 6-speed automatic transmission, the truck returned just 13.11 mpg. This was during a cold and snowy stretch, and there was a little bit of idling and some 4-wheel-drive operation. (Seventy one percent of the miles covered were under city driving conditions.) Plus, we couldn’t fault the 381-horsepower engine–which also generates a maximum 401 pound-feet of torque–for power delivery. Still, those are mpg numbers that other big honkers in the Tundra’s class used to get before the gas-price spike at the end of the last decade that gave the truck market the mpg jitters. 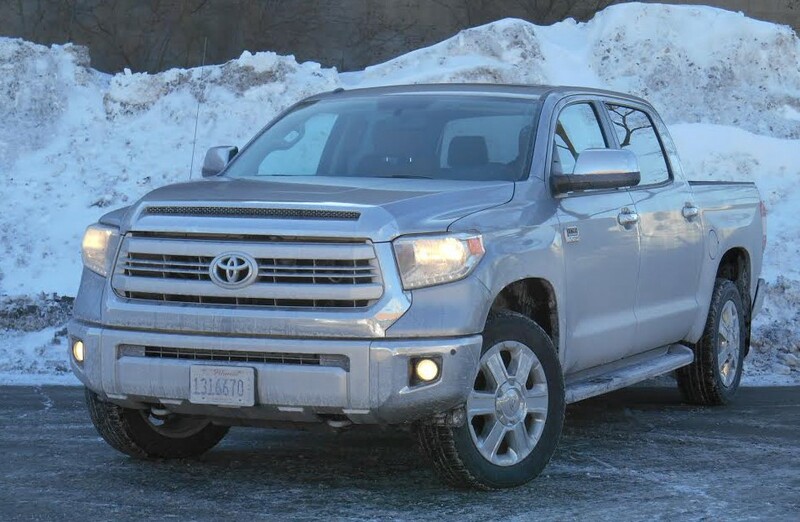 While slurping fuel, the Tundra in this test did ride and handle pretty nicely, even with its standard 20-inch wheel/tire package and parallel-leaf-spring rear suspension. The 4-wheel drive was perfect for getting this driver out of his long snow-filled driveway without a hiccup, and for traversing snowy streets and highways on the trip to work. Other times, it tracked well (in 2-wheel mode) on clear highway surfaces. In-cabin storage space is abundant thanks to a large glove box and huge center console bin. There’s nice passenger room in all directions up front, and easy 3-across seating for adults in the second row. (Indeed, the center-rear position in this Tundra was cushier and better padded than in most vehicles with middle-passenger capability.) A minimal driveline hump leaves plenty of foot room in the rear. Seats are comfortable and supportive, and the driving position is authoritative. Drivers get to take a load off their left foot thanks to a convenient “dead pedal” up against the side wall. Not every manufacturer includes this feature, but it’s helpful in big truck cabs where it’s not easy to find a left-foot resting place that stays comfortable for very long. Four-wheeler Tundras require a bit of a reach to get in and out of the cab. The running boards on the test truck, optional at $345, helped in this regard. Over-the-shoulder visibility is good, and big mirrors with new optional blind-spot alerts make for confident lane changes and reverses. Cabin storage is generous. The glove box has substantial space and a useful built-in organizer. Big door pouches feature integral cup holders. The large console box is topped by a wide arm rest. For second-row passengers, pockets built into the doors and pouches attached to the front seat backs provide incidental storage. Controls are easy to see, reach, and program on screen or—for climate—via dials and buttons. 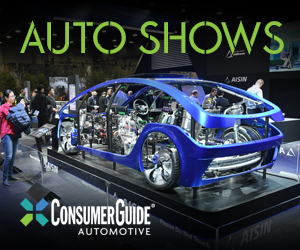 The tested truck included Toyota’s Entune infotainment system with a suite of apps, JBL audio, and navigation system, functions for which showed up on a 7-inch touchscreen. Satellite radio and Bluetooth hands-free telephone connectivity were included as well. The materials in the test truck, which was outfitted with the new line-topping 1794 trim level, were an odd mix of truck hardy and luxo-car plush. A sunroof came standard. Heated/ventilated seats were perforated leather, and saddle-color leather and woodgrain accents abounded throughout the cabin and on the steering wheel. Meanwhile, there was hard black plastic on the dash top and door panels. If this is supposed to be Tundra’s approximation of vehicles like the GMC Sierra Denali or Ford F-150 King Ranch, it hasn’t quite hit the mark. 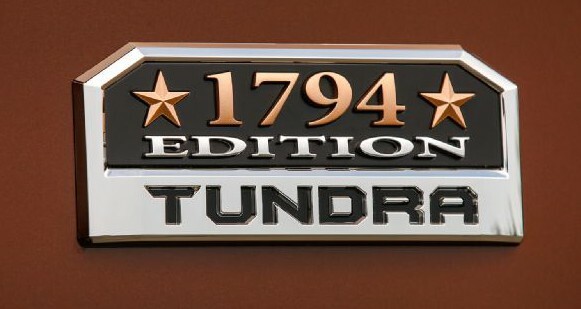 With options (blind-spot alert/cross-traffic alert, running boards, chrome wheels, bedliner) and delivery charge, the tab for the Tundra 1794 CrewMax that we drove hit $49,715. I was happy to have our test Tundra Crewmax at a particularly opportune time… right after yet another Chicago snowstorm dumped about 5-7 inches of the stuff on our already snow-stacked curbs, side streets, and alleys. It’s quite satisfying to be able to power over the nasty grey slush and rutty, half-packed snow and ice with no problem. However, the Tundra’s sheer size is a bit of a double-edged sword, at least in city commuting. The gigantic overall footprint means that negotiating tight streets, alley, and parking garages requires extra care, and the raised ride height and tall body build made for a steep step in that was a bit tricky even for me (and I’m 6’6″). Once you hoist yourself up, however, the space is more than generous. The Crewmax cab’s back seat space is outstanding… I had plenty of legroom, even with the front seat set far back, and the cabin is also wide enough for three adults to sit abreast in decent comfort (though the padding in the center of the seat isn’t as soft). I didn’t try it, but the cavernous center console bin looks like it could easily accommodate a soccer ball, or a good-sized Butterball turkey. Our tester was the top-line 1794 Edition, which Toyota introduced to do battle with the likes of the Ford F-150 King Ranch, Chevrolet Silverado High Country, GMC Sierra Denali, and Ram Laramie Longhorn, all luxed-out trucks that are selling quite well (and most certainly making substantial per-unit profits for the respective manufacturers). Our tester’s sticker price checked in at $49,715, which is right in line with the rival trucks mentioned above. 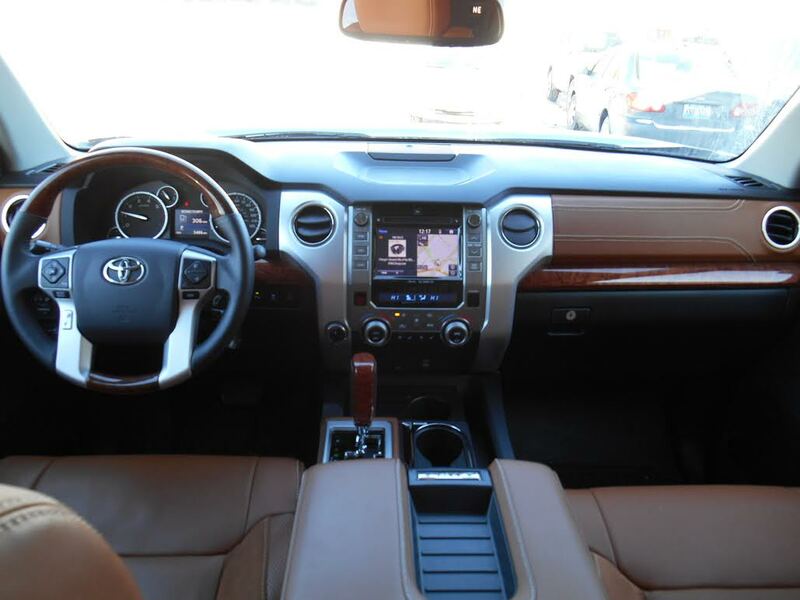 That money buys a full complement of comfort and convenience features such as heated and ventilated front seats, rearview camera and park assist, leather upholstery, and Toyota’s Entune app suite. Our tester also carried the optional Blind Spot Monitor with Rear Cross-Traffic Alert ($470), running boards ($345), 20-inch chrome-clad wheels ($220), and a bedliner ($365). The 1794’s high-end interior trim strikes a decent balance between posh and rugged, but the 1794 theme seems a bit of a stretch–the number refers to the founding year of a ranch that once occupied the same land as the Tundra’s San Antonio, Texas manufacturing plant. 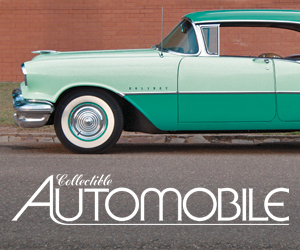 Written by: The Daily Drive staff on February 21, 2014.